Re: Italian tanks and AFVs. 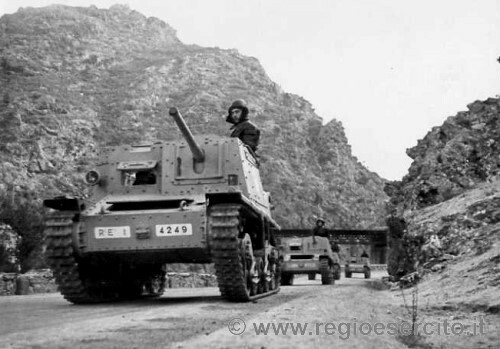 A few more pictures of this useful looking Italian version of the universal type carrier. I have only just started to look at Italian vehicles again, in my youth I fairly dismissed them as irrelevant and concentrated more on Early British WW2 vehicles (North Africa and the BEF in particular). The Italians had some very good kit as well as the more commonly thought of really bad kit. It did surprise me rather pleasantly I may add. Wanst that more like a command variant of the L6 light tank ? Hello Panzerknacker, it is well about frame of L6/40, but used here on a prototype of recognition vehicle, its name was Cingoletta L40 and it was armed of one MG of 13.2mm and of a Breda model 38 of 8mm, that speed was of about 60KM/H and its motor came from the AB40. As hoping to have you was useful, it is true that this vehicle is very little known. I see, I thought it was the variant of the semovente of 47mm without gun. Indeed my dear Panzerknacker, because the two vehicles sharing the same frame and the aspect is misleading enough, but it makes look at the back shelf of the vehicle, notably the over to perceive that the one doesn't come here from the Semovent, the one of the Cingolato is longer. Nice to see the Italians and their equipment getting some good coverage, they are so often overlooked. The Semovente 76/46 was the first "real" Italian tank destroyer. The Italians armed all Semovente with a mix of ammunition but their primary role, up to the armistice, was as mobile artillery support/assault guns. They began to form tank destroyer formations, using the 75/34, in 1943 (the 75/18 was also used to supplement tank strength, much in the way the Germans used the Stug and other tank destroyers in their tank battalions during the late war period) but the 76/46 was really the first Semovente designed as a tank destroyer, with an ATG as its main armament. Testing the "sardine can" Ansaldo CV33 and derivates, ridiculous vehicle, I think the film is from 1934 or 35.